The FJet24 Gen2 is a high-resolution, high-speed flatbed industrial inkjet printer. This 24″ printer supports single- or bi-directional CMYK + WW printing and is excellent for industrial products, medical devices, electronics, appliances and much more. Platen height adjustment up to 6″. Custom heights available. System includes dedicated PC installed with ColorPrint RIP software. 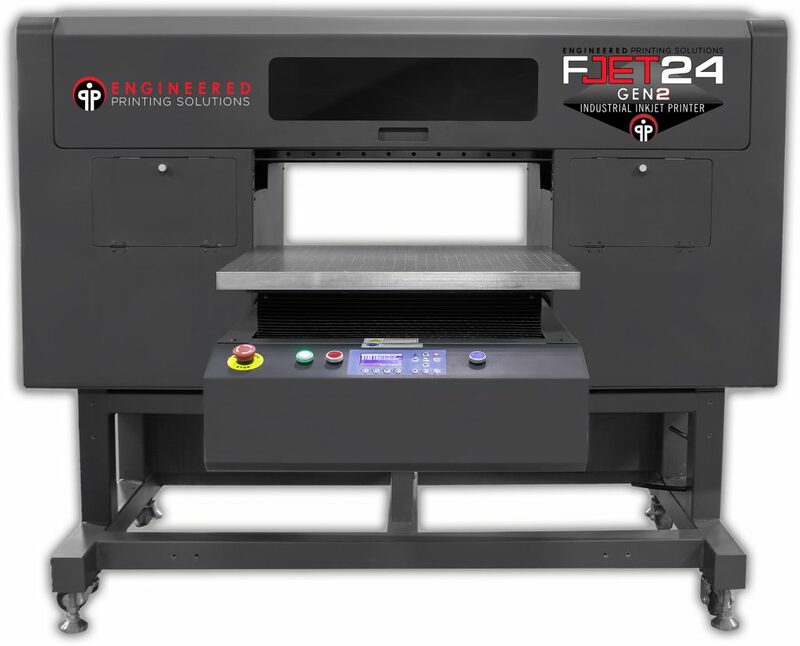 Want to know more about the FJet24 Gen2 flatbed inkjet printer? Drop us a line!